The LPDA-A0036 is a directional log-periodic dipole array that covers the 20 to 3000 MHz frequency band with a variety of power handling variants. The high-power versions of the LPDA-A0036 can handle up to 1 kW at 1 GHz. 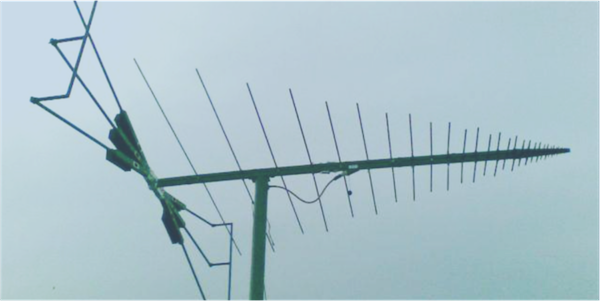 The antenna has a typical gain of 6 dBi over 90% of the band with the polarization adjustable between vertical and horizontal via a swivel mounting bracket.